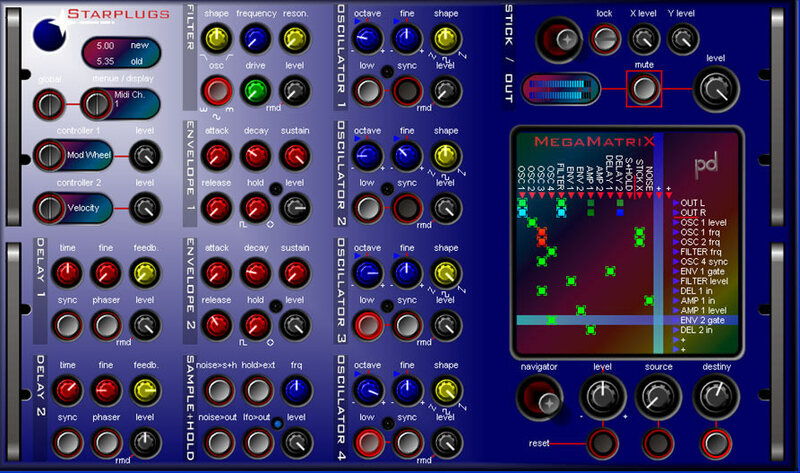 MegaMatrix by Starplugs is a Virtual Instrument Audio Plugin. It functions as a VST Plugin. MegaMatrix is a classic "old school" modular synthesizer offering a totally free routing concept combined with a large selection modules. Starplugs claims to have invented a new kind of routing matrix for MegaMatriX - it combines a 1060-routing-point matrix with a 256-mixing matrix. Almost every possible connection can be made. 1060-routing-point matrix; 256-mixing matrix: totally free assignable; control every parameter. 14 synthesis algorithms: additive synthesis; subtractive synthesis; ring modulation; AM / FM; cross modulation AM / FM; oscillator sync; Filter / Filtermod / Wave / Time modulations; Phase and ReMod synthesis. 1 voice (monophonic): classic old school modular architecture. 12 Amplifier: 10 integrated AMPs, 2 free AMP / exponentializer. 9 Ring modulators: high precision routines. 6 Oscillators: 4 infinite variable waveform setting between Triangle and Saw; 1 infinite variable wave shaping between sine and rectified sine. 2 Envelope Generators: ADSR with auto run and hold function. 2 Delays: midi syncable; phaser mode; freeze function. 1 Sample and Hold: integrated LFO; integrated noise source. 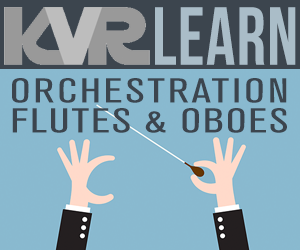 Use MegaMatriX as Instrument or as insert effect (Demo Version = Instrument only).